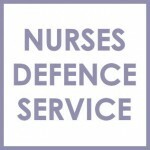 Nurses Defence Service | Nurses Defence Service – UK. Nurses Defence Service is run by qualified nurses who are also qualified lawyers. Our clients are nurses who work in the public or private healthcare sectors and other industries. We represent nurses before the Nursing and Midwifery Council (NMC), at inquests, in employment law disputes, in criminal proceedings, in civil proceedings, and all other regulatory proceedings. We have significant expertise in NMC law, CQC law, inquest law, regulatory law, commercial law, general civil law, employment law, and criminal law. We give legal advice to nurses and represent nurses in courts, tribunals and NMC hearings and NMC appeals. For more information, call us on 0800 0122 506, or use our on-line Contact Us Form.